Discover our range of reverse pent sheds which have been manufactured using the highest quality of timber. Our reverse pent sheds have been pressure treated to ensure they’re protected against weathering to look as good as new, year after year. 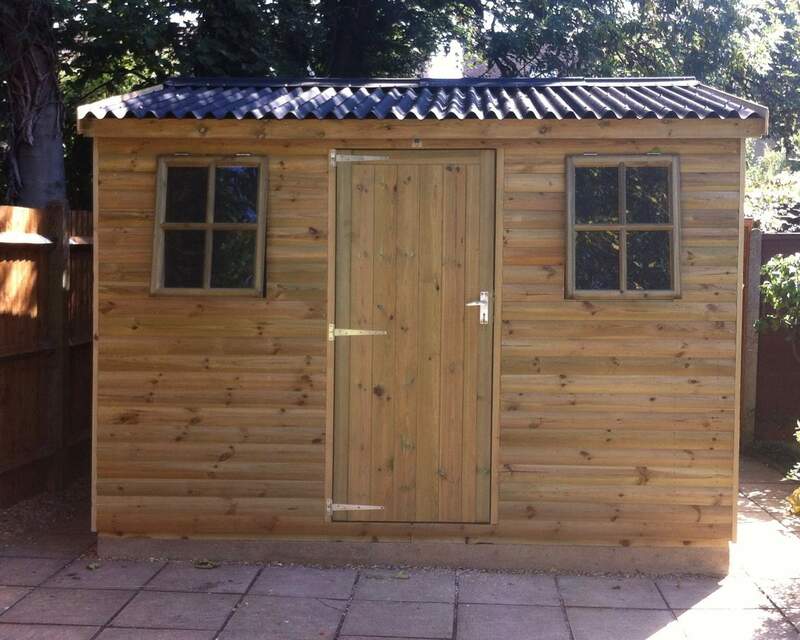 Explore our customer gallery for a bit of inspiration on how you can transform your reverse shed! What's a reverse pent shed and a reverse apex shed and why do they differ from a standard shed? There are a number of elements which make you reverse shed different to a normal shed, for more information read our guide to shed types. 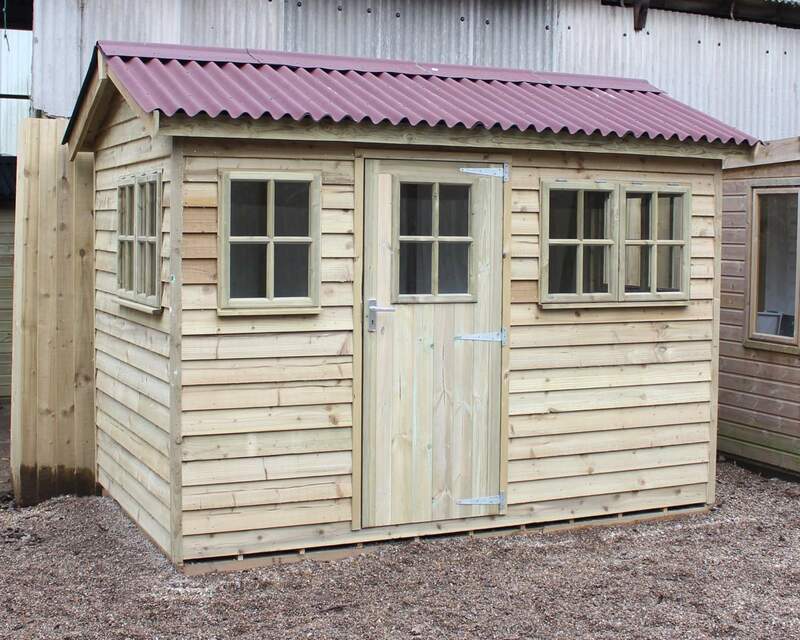 Our expertly crafted reverse pent sheds have been made from scratch by the dedicated team at Ace Sheds. 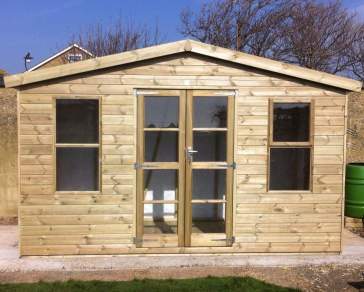 Our reverse pent sheds are customisable so you can tailor your garden shed to your needs. Our customisable service enables you to alter a number of features including door position, door type and window type to name a few. You can create something truly unique to you. 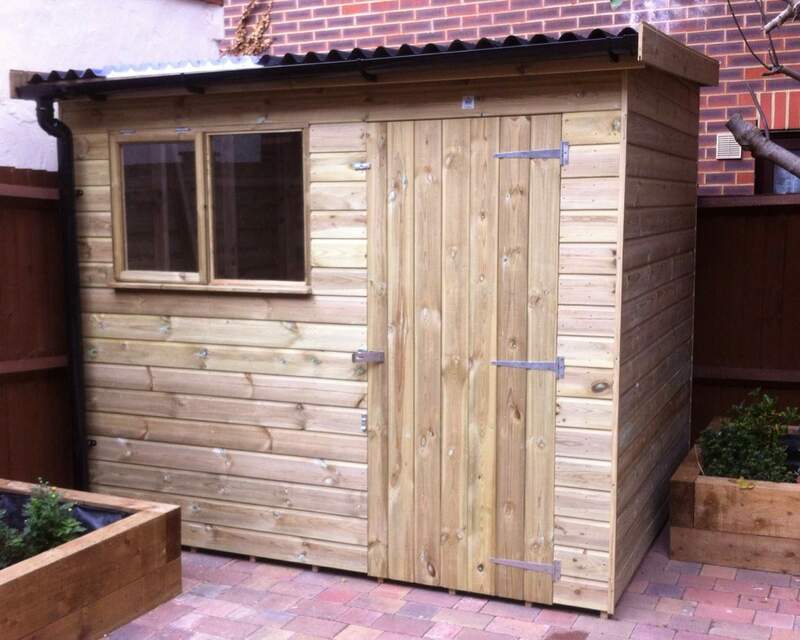 If it’s a storage solution you’re after or a place to unwind, the reverse pent shed has a number of uses. The extra head space creates an airy and spacious feel and allows for extra storage space and room for activities. 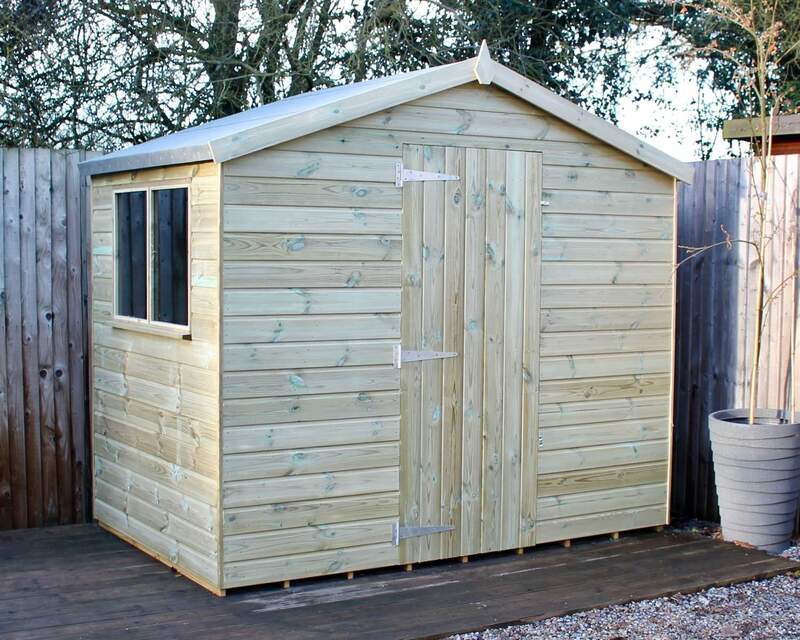 To maximise the lifespan of your shed you must ensure your shed incorrectly installed, we offer an expert installation service where our friendly team from Ace Sheds will come and put together your shed on a day of your choice. As well as our installation service, we also offer free delivery to certain postcodes and a delivery fee for other postcodes within the South East. 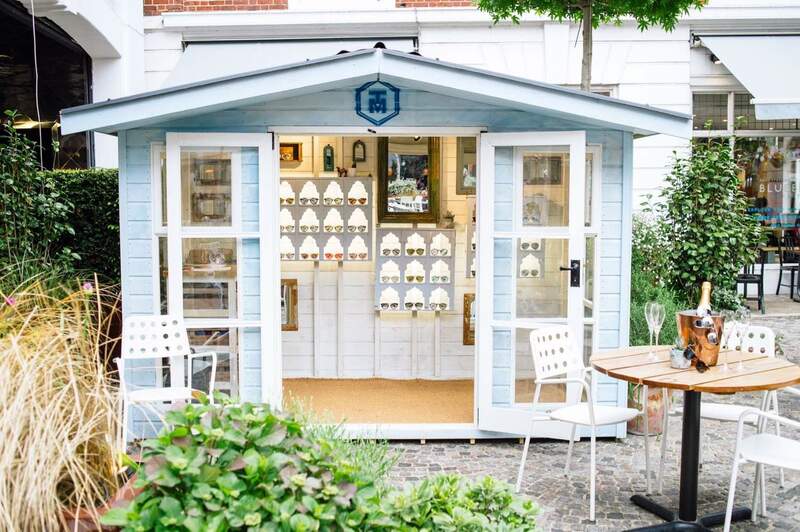 If you would like more information about our range of sheds, please get in contact today and one of the teams at Ace Sheds will be available to answer all your questions.